Continuing my series of vintage motorcycle pieces. I have begun listing a series of prints on paper. Click the art button to see more. 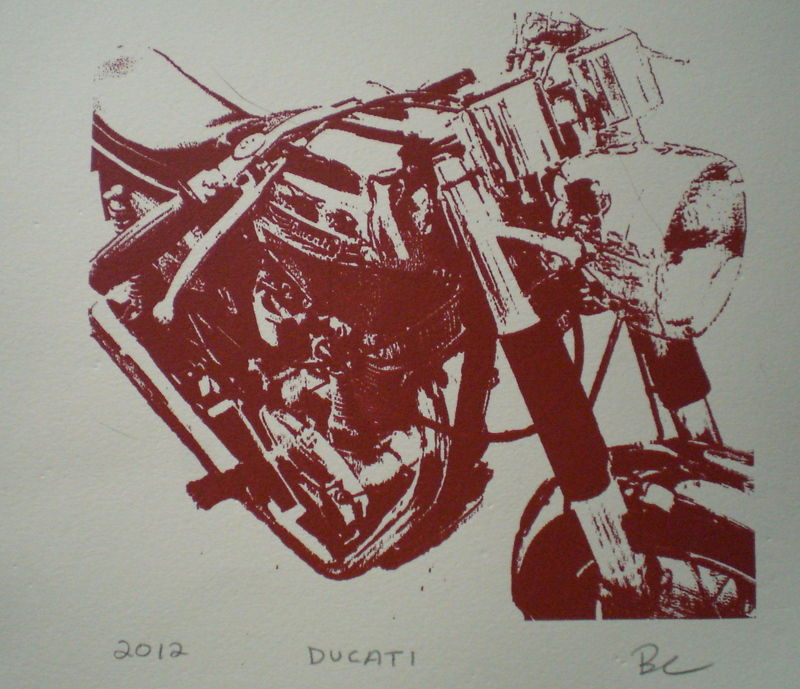 This entry was posted in Uncategorized and tagged ducati, italian, motorcycle, pop, print, rocker, silkscreen. Bookmark the permalink.